Thank you Zeljko! A pre-stamped postcard of the Pula Arena. Constructed between 27 BCE-68 CE, Pula is exceptionally well preserved, thanks to the Patriarch of Aquileia who in the 13th, outlawed mining the arena limestone. Thank you Zeljko! FDC with the Pula arena on cachet and cancel. How rad would it have been to see David Gilmore or Leonard Cohen play here!? Thank you Zeljko! 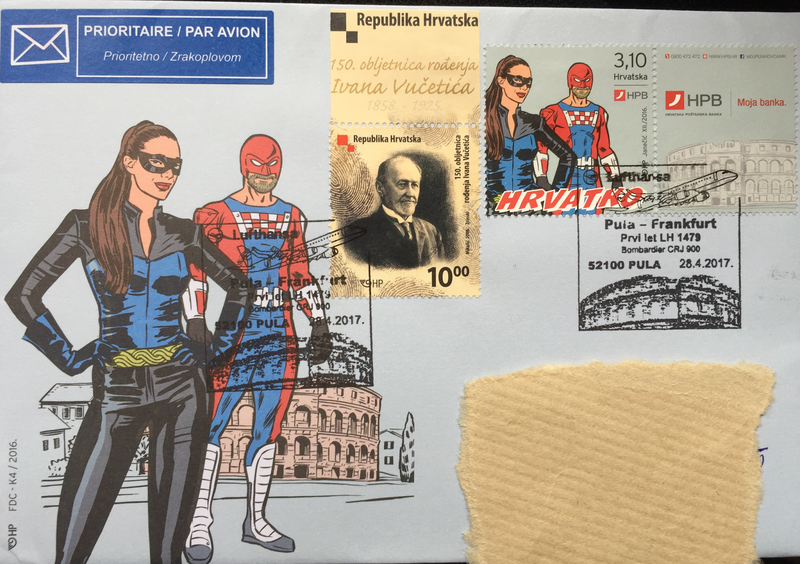 Flight cover from Pula to Frankfurt with superheros Hrvatko and Black Luce. 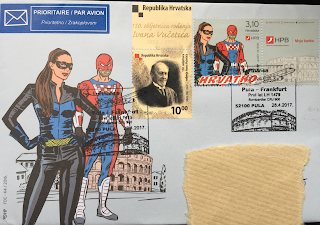 Postal stationary is from 2016, and cancel from 2017. 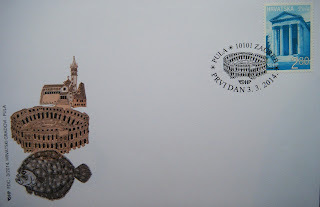 Thank you Andrey for this postcard!